How much have prices risen in 2018? How can I save even more on my energy? Who offers the cheapest energy deal? So what are the other cheap energy deals you can switch to today? With the recent news of the primary energy suppliers hiking their prices another time this year, it leaves a lot of customers asking this essential question: Am I getting the best cheap energy deal? According to Ofgem, who is the energy industry regulator, up to 65% of energy customers never switch suppliers. On top of that, they say 57% of customers are still on expensive standard tariffs, which can often mean spending £100s more than you need to on your electricity and gas. Because of these shocking statistics, Ofgem has announced that they are putting a price cap on how much energy companies can charge their customers until 2020, which should be in place by the end of 2018. The vast majority of energy suppliers regardless of the size have had to increase their energy prices this year. 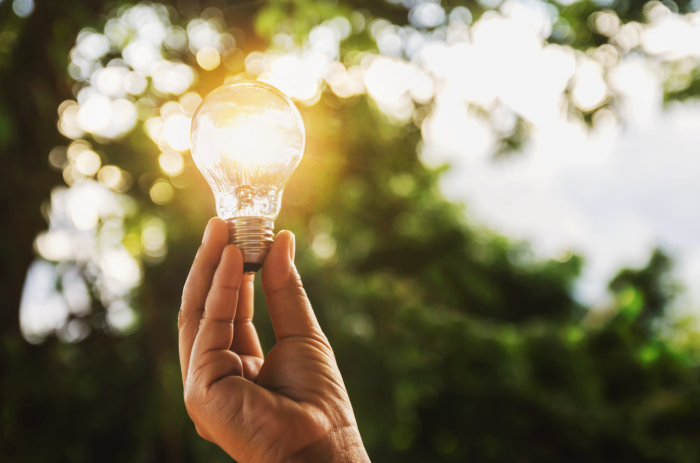 However, the amount that it has changed does vary in the extremes depending on the energy supplier, as some do still offer cheap deals on their energy. British Gas who offers one of the most expensive tariffs on the market only increased their prices by 3.00%, whereas a smaller independent energy supplier like Bulb has increased theirs by 5%. However, that still makes the Bulb tariff considerably cheaper than British Gas, with a difference of over £200 a year. If you choose to pay by direct debit, you could save up to £90 a year! Why? This shows your supplier that you can pay for your energy, plus they earn interest, so it benefits them too. If your supplier offers this payment method, you should opt in if you can afford it. Sometimes dual fuel tariffs can be cheaper than single rate tariffs, but you should always compare suppliers before making any decisions about whether you are going to switch, and definitely about all the tariffs that you can get. Dual fuel: When you get both your electricity and your gas from one supplier. Single rate tariffs: This is when you only get electricity or gas from a supplier, rather than both. Some suppliers allow you to manage your account online, which usually means that you won’t receive communications via the post or anything like your bill. Many suppliers will give you a discount as they won’t be paying for printing or postage, plus it helps them to stay energy efficient and greener. If you want a way to cut down your bills considerably, maybe you should consider either investing in insulation for your home or a new boiler. Although this can be an expensive one-off payment, in the long run, you are going to benefit from having an efficient boiler and better insulation. Some companies offer schemes as part of an energy efficiency obligation which means that you could have a sum put towards your new boiler or insulation, or you could have one for free. Every year, 60% of your energy is spent on heating. A new boiler could save you around £320 a year – yup, that’s right. New boilers can sometimes cost you around £2,300 – which is a great freebie if you can get one. Many homes that were built after 1920 have wall cavities, and filling them could save you £150 a year. A lot of your home’s heat escapes from the roof, but solving this can save you £130 a year. The Energy Company Obligation (ECO) is a government scheme that was created to try and tackle fuel poverty and energy inefficiency in the UK. It means that larger energy suppliers should help you become more energy efficient by installing things such as loft or wall insulation for example. Taking the table in the energy prices section into consideration, Igloo Energy appears to be the cheapest energy supplier. How does this translate into the other areas of the business? What do their customers think? Igloo Energy enjoys an excellent 4-star rating on Trustpilot, with 71% of their reviews falling within the positive 5-star category and only 2% in the negative. Many customers feel that customer service is just as outstanding as the low price for their tariff. Let’s face it; if your energy were disrupted for any reason, surely you would want an excellent customer service team that would have your problems fixed in no time at all? This is where some of the ‘big six’ energy companies fall short, according to reports from trusted websites such as Trustpilot, like British Gas that only have a 1-star rating, which gives them a ‘bad rating’ according to the Trustpilot guidelines. According to research, the table below depicts the top 5 cheap energy deals you can benefit from today, ranked by the least expensive to the most costly. This table shows you how these companies rate regarding customer reviews, discounts, exit fees and how simple they are to use. Although some customers understandably prefer paper billing, it could be costing you more money and time than if you manage your account online or with an app. However, now laws are protecting you as the customer from this stress, meaning that your new supplier will take care of everything on your behalf. Energy suppliers are meant to keep you updated with information regarding your switch via telephone, email or through the post. If you have any questions about your switch and want some extra information, you can always contact your energy supplier for an update. I’m in debt, can I switch? If you are on prepay, you can still switch to a cheap tariff if your debt is under £500. If you aren’t, it depends a lot on who your supplier is, and your payment type – British Gas say that you need to pay off your debt before you switch. However, other suppliers may not require that. In some ways, many energy suppliers are almost identical as they receive their energy generally from the same place, with a few green energy exceptions where companies invest in renewable energy generators. However, it’s not just about prices or even the energy necessarily. Many customers say that customer service is more important than the price of the tariffs, which many customers are happy to pay a bit more to stay with a friendly and helpful energy supplier. If you can get both a cheap deal and excellent customer service, the supplier should be considered in your comparison. Are you on the cheapest energy deal? Would you like to learn more about your energy? Take a look at the EnergySeek guides to find out more about your energy, or look at the top energy switching services to compare prices.